It was a perfect day on Saturday (maybe a little too hot!) for the Chiltern Challenge Ultra. Over 300 people took part, with almost half of them doing their first ultra! The age range of the participants was 19 to 77, and the finishing times ranged from 4 hours and 12 minutes to 13 hours and 54 minutes. Everyone who took part was a winner for having a great day out and helping fund our amazing spectacle program in Uganda (see Nick’s blog post). 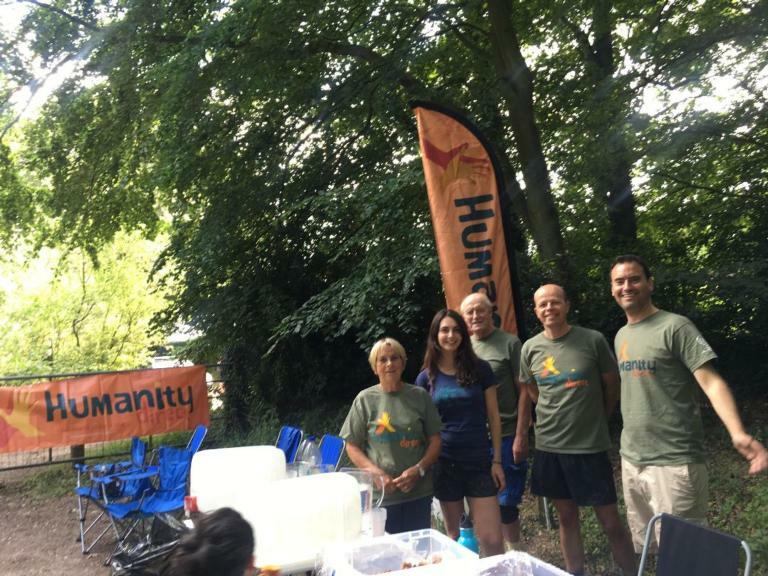 Team Humanity Direct ran the second checkpoint and we all had a great time cheering the runners on. Nick even snuck away to run 20km to the finish, so an amazing day for all involved while raising essential funds for the children in Uganda. A big thank you to XNRG and all the volunteers who ran the event so smoothly. Our next event is in September in Tring so if you missed out this past weekend come join us then!